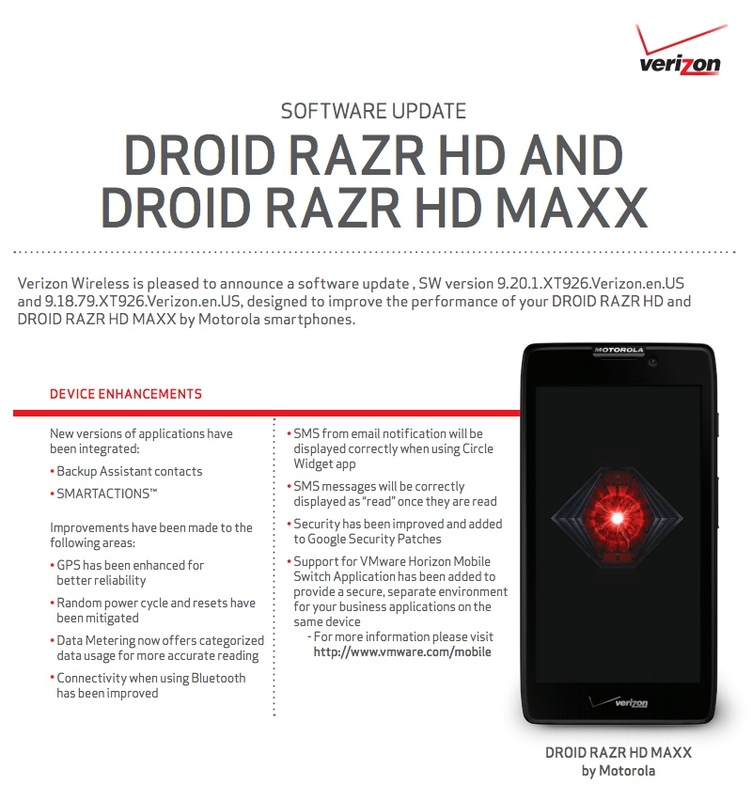 Update: For some reason, Verizon is now pushing out two different builds of 9.20.1 and 9.18.79. We aren’t sure why, but should we find out we’ll update the post. 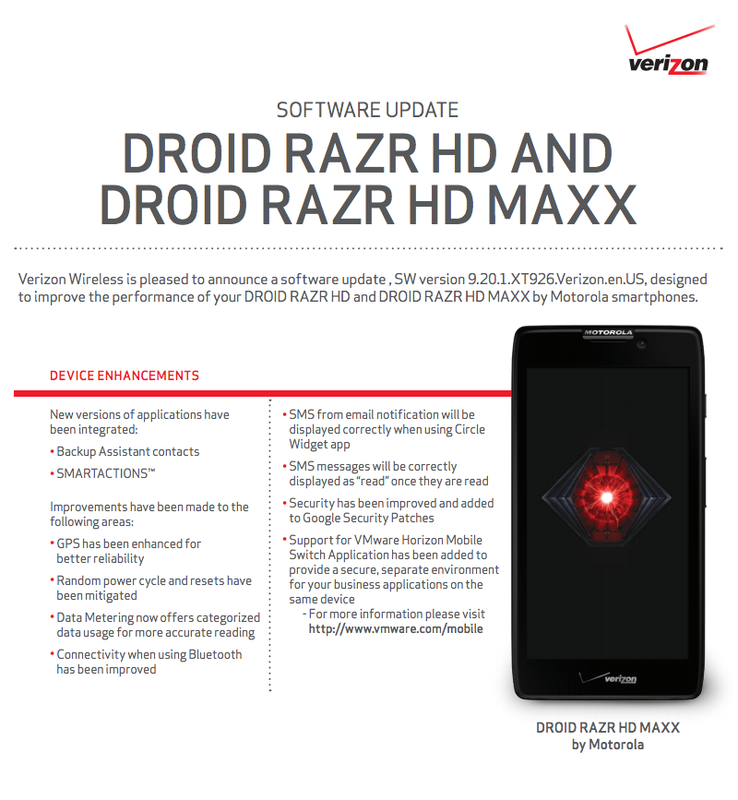 A new update for the the Motorola DROID RAZR HD and RAZR MAXX HD has been approved by Verizon as build 9.20.1. It appears to be nothing more than a bug fixer, rather than the 4.2.2 update we were hoping for. In the update, users will find new versions of SmartActions and Backup Assistant. Outside of those new goodies, Motorola appears to have patched a bunch of SMS bugs, enhanced GPS and Bluetooth, and patched a security exploit. The update is 50MB in size. Typically when we see updates approved by Verizon, they begin to rollout within a week or so. We’ll keep you posted.